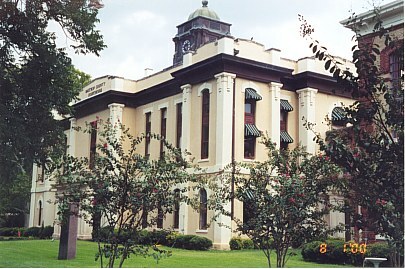 The Bastrop County Courthouse and historic jail- Bastrop, Texas. 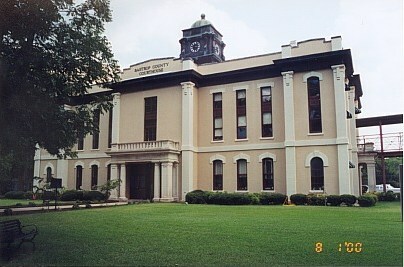 The Bastrop County Court House was built in 1883-84, and altered in the 1920's. It is located at 804 Pine Street. There is a collection of early Bastrop historical photos decorating the inside walls of the court house. 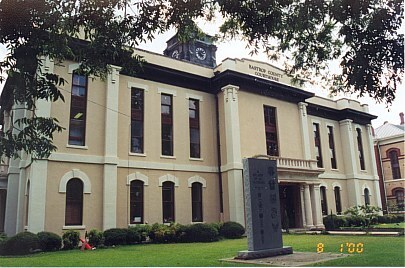 The business district is not built around the court house like many other county seats. 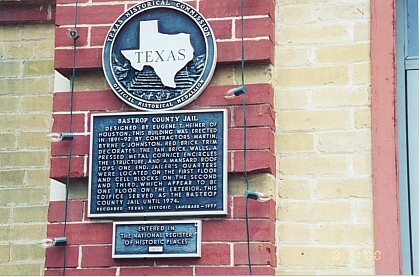 The historic old Bastrop County Jail is located next to the court house at 802 Pine Street. 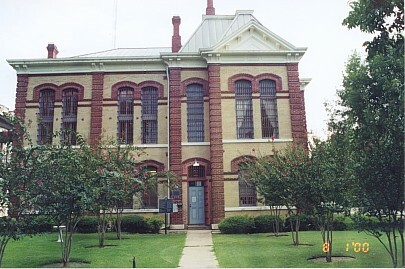 The old jail is a three story example of late 19th century second empire Victorian and was built in 1891. 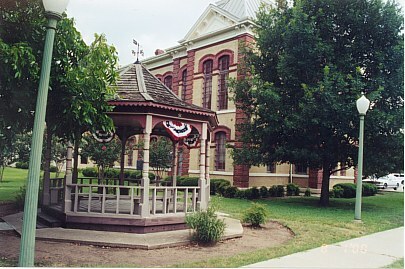 It served as the county jail until 1974. 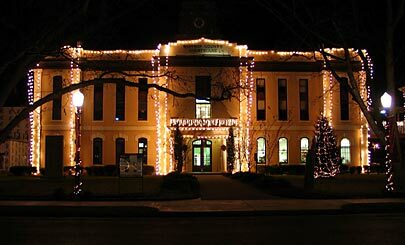 View 1 of the Bastrop County Courthouse - December 2003.